EDITED April 2011. Latest update is 2.5.8. Kindles without WiFi must now download updates Manually. Details below. For dates after today, follow the Amazon link and scroll through to see if there are any newer versions. If you haven't received it wirelessly yet, Amazon have finally made the manual files available for the Kindle 2.5 updates.This is one of the most anticipated Kindle updates we've had, with the addition of collections: a new way to sort and organize your ebooks on the Kindle home page! 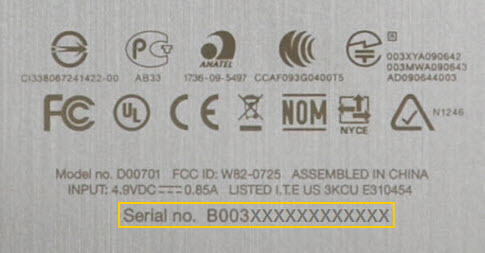 Determine which type of Kindle you have: You can confirm which Kindle you own by looking at the certification symbols or first 4 digits of the serial number located on the back of your Kindle and comparing it to the images below. Transfer Software to Your Kindle: Turn your Kindle on and connect it to your computer using the USB cable. Then use your computer's file browser to copy the update file from your computer to the Kindle root directory. (The root directory contains a number of folders - such as "audible," "documents," and "music" - and is typically denoted by a "device" icon). Monitor File Transfer and Disconnect: Check your file browser's file transfer progress bar to ensure that file transfer to your Kindle is complete. When you're confident the file has transferred successfully, you can use your computer's unmount or eject function to safely disconnect Kindle from your computer. Disconnect the USB cable from Kindle and your computer. Start the Software Update: Go to the Home screen, press the Menu key, and select "Settings." Press the Menu key again, and then select "Update Your Kindle." (This option will be grayed out if the most recent update has already been installed.) Select "Ok" when prompted if you want to perform an update. If you cannot successfully update your Kindle software using the instructions above or encounter any difficulty with your software update, please contact Kindle Support. just wondering seeing all the many reviews of the kindle. 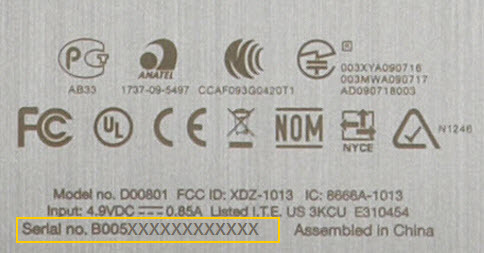 firstly can you put a pdf directly on the kindle through usb? how easy is it to read pdfs on the kindle 2 especially with the new pan and zoom and text size? and is it better to convert it first to something else from pdf then put on the kindle or leave it alone? Yes, you can put a pdf onto the Kindle direct with USB. You used to be able to convert pdf to azw by emailing it to amazon and getting it back within a minute or so, but since it takes pdf now, they don't do that. I haven't tried any other method of conversion. Pan and zoom makes it much easier now. If you can, find a nearby Target that is stocking them so you can test one out. Target recently started to sell them, although I am not sure how well the staff know the product yet. So you know, Danielle (and Nico): My Kindle 2 is the latest (Version 2.56), and I'm delighted to report that one can *still* easily convert a .pdf document into .azw format for easy reading on one's Kindle. The technique is the same as before -- one sends the document as an attachment to the appropriate Amazon Kindle e-mail address after including the word "Convert" in the subject line -- and I for one strongly prefer the resultant text: far easier to read and navigate; great choice of font size; access to the (excellent) Kindle dictionary; and the like. Of course, for those who do want to "pan and zoom" in .pdf, they have that option as well. Jeff... thanks for letting me know! I haven't tried with 2.5 so that's a great option to have: ability to read pdf or convert to azw. I also prefer azw format for many books, mostly because I use the dictionary feature all the time and I like to highlight/ add notes. Not incidentally, thanks for what you do, and welcome back to this part of the world.